Why I’m doing #ABCgetfit | Bethany Keats: Poet Lorikeet. I grew up playing sport. I started off with tennis, dabbled in table tennis and finished up with rowing. Plus samples of most sports readily (or otherwise) available in Australia. 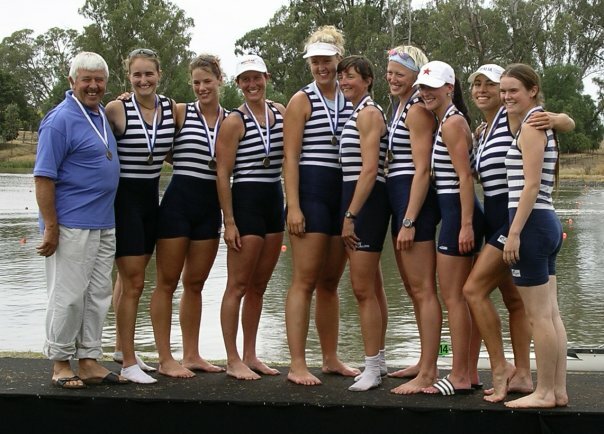 As a teenager I trained seven days a week for rowing. Including twice a day on weekdays. As a university student I cycled everywhere and coached high school rowing. Fast forward to my working life and due to a long commute, I rarely see daylight in my home town. This is a problem for an outdoor water sport. I could race on weekends but when I wasn’t able to train and maintain my fitness, that idea was short lived. My activity levels dropped dramatically but an early shift allowed me to come home in time for a quick gym session before tea and bed. Until my gym closed and my work hours changed. Running for the train was all the exercise I was getting. A simple run before or after work was out of the question as I don’t feel safe running in the dark. And the other gyms on offer in my city lacked the casual and personal touch of the one that had closed. 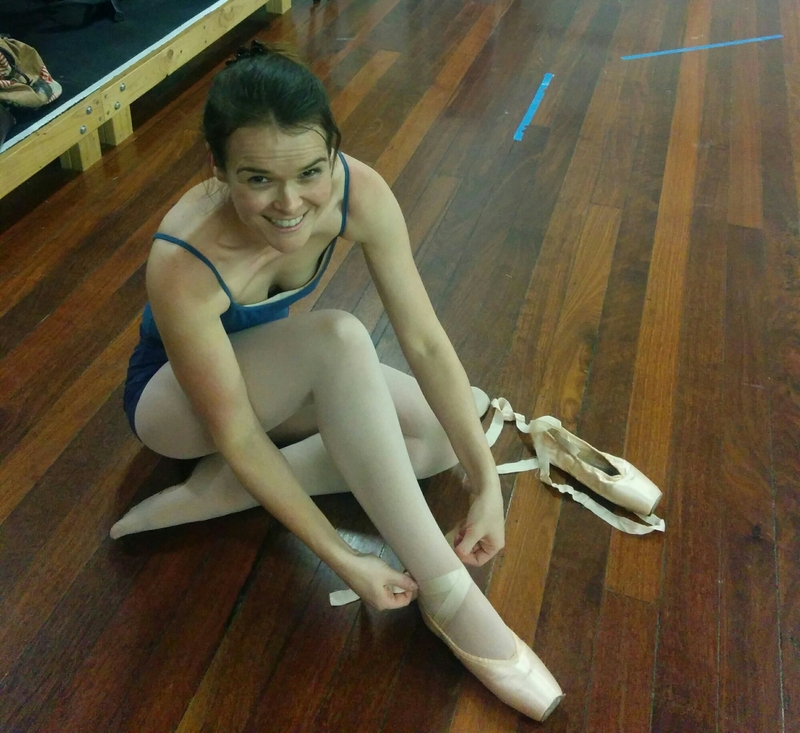 Concerned for my posture from sitting at a desk as well as my lack of exercise, I sought out adult ballet classes. It has done everything I wanted to for my posture. Allowed me to set, and achieve, goals for my development. And provided me with regular, weekly exercise that fits in with my work schedule. But my participation falls below the recommended 300 minutes per week of exercise. It’s half. The remaining 150 minutes has rarely been made up and #ABCgetfit is giving me the kick in the pants to find those missing minutes. Anyone who follows Australian politics or keeps up to date with Australia’s media landscape would be able to guess that my office has had a rough year. #ABCgetfit as an initiative of Mental As and Mental Health Week not only looks at the physical health benefits of exercise but the mental health aspects as well. If exercise lifts the mood, surely exercise with the people I spend most of my day with will lift the collective mood. We have been leaving the office at lunch for jogs and walks. 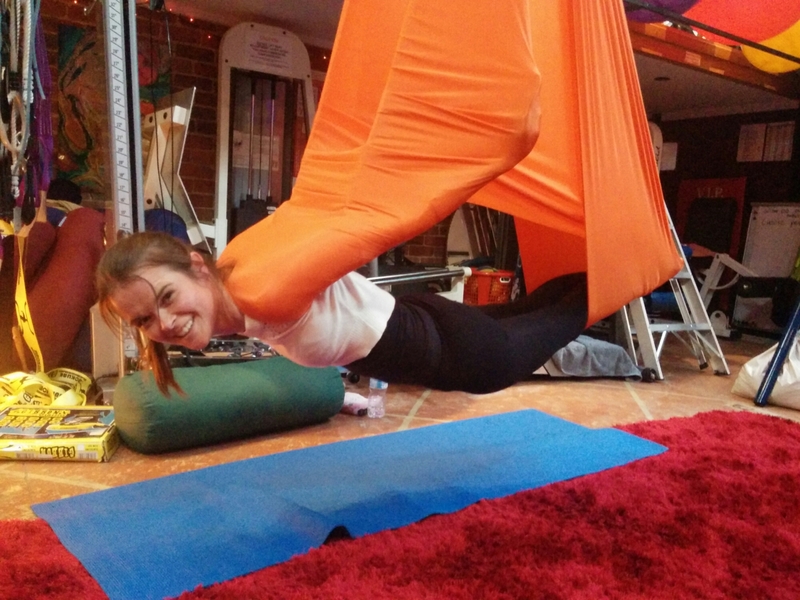 We attended a flying yoga session for a laugh while we get fit. We challenge each other and fill the office with banter about our progress. Can we keep it up for the entire six weeks as meetings and deadlines call our names? That I don’t know. But I’m committed to seeing it through. Less than a week into the challenge I could tell I was in a better mood: I was singing while cleaning the house. I hadn’t done that in a long time. Plus, I have a wedding to maintain my figure for. #ABCgetfit is an initiative of Radio National Life Matters and ABC Health and Wellbeing. There’s more information about the challenge on their website.